A chiropractic adjustment, sometimes miscalled a spinal manipulation, is the primary chiropractic treatment for back pain. Spinal adjustments relieve pressure on joints, reduce inflammation, and improve nerve functions. It has been a trusted form of treatment since the ancient Greek, Hippocrates, documented manipulative techniques in his writings in 1500 B.C. Today, spinal adjustments are used to treat conditions such as allergies, menstrual cramps, and headaches. When vertebrae shift out of place, there is an overall systematic response from the muscular system to the central nervous system. Without proper alignment, our nerves, immune system, and minds cannot function at their highest peak. Overall, spinal adjustments are an excellent way to keep the body functioning at its highest level without any discomfort. When the body is adequately aligned, it is able to respond and perform as it was built to do. Are Adjustments and Manipulations the same thing? Not really--The difference is like that between exercises and stretches. 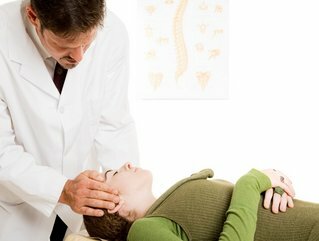 Spinal manipulations are general mobilizations of an area of the spine or other joint. Basically, your spine is twisted and then left alone, as the ligaments pull it back into order. Spinal adjustments are an individual fine tuning of the spinal or skeletal joints. We at Brusveen Chiropractic Clinic prefer to be less aggressive and use adjustments which use less stress, cause less soreness, and are easier for the body to adapt to. We have many types of equipment to help produce these aspects of an adjustment. There are well over 100 types of adjustment techniques that are used by chiropractors throughout the world. Adjustments rely on proper angles and leverage by proper hand moves, NOT power, to encourage your body to work better and reduce joint and nerve stress. In our office, we use Gonstead, Thompson, Palmer, and Pettibon techniques. In fact, the better the adjustment technique, the less stress to you, the patient. We further will tell you how and when an adjustment will happen, so you can be a well-informed patient.